Awash in squash? Fear not — we have three recipes to keep you ahead of the August onslaught. I heard a joke recently while visiting Vermont: Why is summer the only time that Vermonters lock their car doors? So no one will fill the car with zucchini when they’re not around. Indeed, the surplus zucchini season is upon us but don’t worry, I have three recipes to help. The rosti is based on a Swiss potato dish that’s similar to hash browns. The dip is an American twist on baba ganoush, and sweet-and-sour agrodolce sets off the mild flavor of the squash. A food processor makes quick work of grating the zucchini and potatoes. If you grate by hand, use the large holes on the grater. In a large colander or salad spinner basket, toss the grated zucchini and potatoes with 1 tablespoon salt and allow to drain for at least 30 minutes. Rinse the mixture thoroughly and dry well using the salad spinner or paper towels. Spread out a clean dish towel and place the mixture in the center, gather the edges and corners, and twist hard to wring out as much liquid as possible. Empty the mixture into a large bowl and fluff it with your fingers to thoroughly break up all clumps. Add 1½ teaspoons salt and 1/2 teaspoon pepper, or more to taste, and toss to distribute. In a 10-inch nonstick skillet over medium-high heat, heat 1½ teaspoons each butter and oil until the foaming subsides; tilt the skillet to cover the entire cooking surface. Add the zucchini mixture to the skillet in a loose, even layer, adjust heat to medium, and cook, undisturbed, for about 10 minutes. Gently compact the mixture, especially around the edges, and continue to cook, undisturbed, until the bottom is browned, about 5 minutes longer. Off heat, gently shimmy the skillet to loosen the rosti, position a plate over the skillet, and lift and swiftly flip the skillet to invert the rosti onto the plate, then set aside. 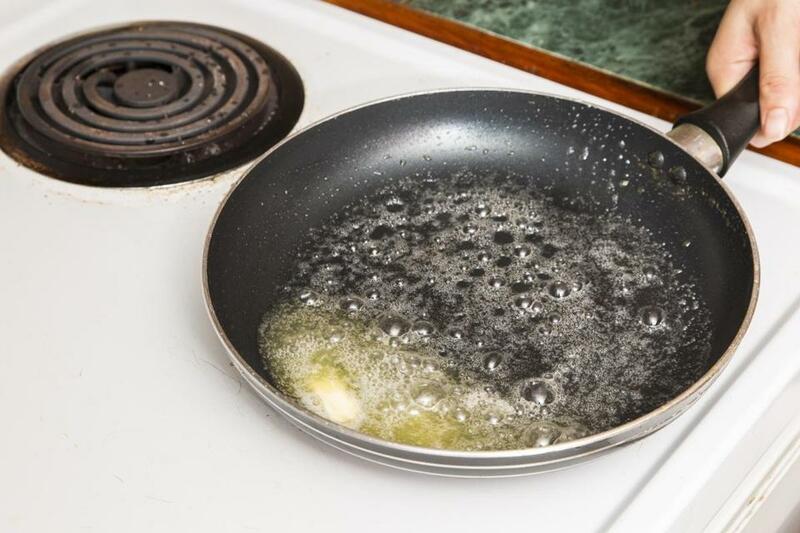 Add the remaining 1 1/2 teaspoons each butter and oil to the skillet, tilting the skillet to cover the entire cooking surface. Gently slide the rosti back into the skillet, uncooked side down. Return the skillet to medium heat and gently compact the mixture, especially around the edges. Continue cooking, undisturbed, until the rosti is browned on the bottom, about 15 minutes longer. 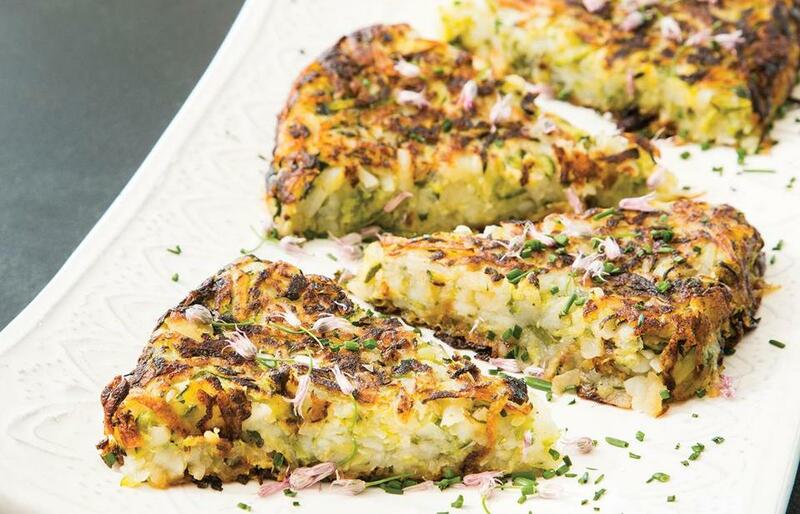 Transfer the rosti to a serving plate and cool for 5 minutes, cut into wedges, and serve at once. A couple of things to keep in mind: make sure to buy unsweetened sunflower butter, and choose zucchini of a similar size so they’ll cook at the same rate. For a dip with a coarser texture, chop the zucchini with a knife and stir in the other ingredients, skipping the food processor. You can broil the zucchini rather than grilling them. With the rack about 5 inches beneath the element, broil until black all over, rotating them as you would on the grill. This dip, which is rich from the sunflower butter, is adapted from localbanquet.com, via my friend Liz Ekwall, who introduced me to it. Prepare a medium-hot fire in a charcoal grill or preheat a gas grill on high. (If using a gas grill, adjust burners to medium-high and grill with the lid closed.) Grill the zucchini until the skins are charred and the flesh is soft, about 45 minutes, (depending on size) turning them a few times during cooking. When the zucchini are cool enough to handle, remove and discard the charred skin and place the flesh into a strainer. With a large spoon or flexible spatula, gently fold the zucchini in the strainer, breaking up larger pieces as you go, to help expel liquid; continue until liquid has nearly stopped dripping, about 3 minutes. Let rest and allow the zucchini to drain for an additional 30 minutes. In a food processor, pulse the zucchini, garlic, cayenne, lemon juice, olive oil, sunflower butter, 1 teaspoon salt, and pepper to taste to the desired texture. Scrape the mixture into a bowl. Add the shallots and parsley and stir to incorporate. Adjust the seasoning with salt, pepper, lemon juice and/or sunflower butter, if necessary. Scrape the mixture into a serving bowl, drizzle with olive oil, and serve. When cooking the rosti, use a little oil along with the butter in the skillet to help keep the butter from burning. Because the the vinegar turns the zucchini’s vivid green drab after an hour or so, this is best eaten shortly after making it. In a large nonstick skillet over medium-high heat, heat 2 teaspoons of the oil until shimmering. Add a single layer of zucchini slices, toss to coat with oil, and cook, undisturbed, until lightly browned, about 2 1/2 minutes. Turn the slices and continue to cook for 1 minute. With a slotted spatula, transfer to a shallow ceramic, glass, or stainless steel bowl, leaving as much oil as possible in the skillet. If the skillet looks dry, add 1½ teaspoons oil, allow it to heat for a moment, and repeat to cook the remaining zucchini in as many batches as necessary. Off heat, cool the skillet for a few minutes. Return the skillet to medium heat, add the vinegar and sugar, swirl the skillet to dissolve the sugar, and bring to a strong simmer. Cook, swirling the skillet frequently, until the mixture is lightly syrupy, about 5 minutes. Add the garlic, minced chili, a pinch of salt, and black pepper to taste, swirl to combine, and cook for 1 minute longer. Cool the mixture off heat, about 3 minutes. Pour the warm dressing over the zucchini, stir, and set aside, stirring occasionally, about 15 minutes. Add most of the mint and stir to combine. Adjust the seasoning with salt and black pepper if necessary, sprinkle with the remaining mint, and serve at once. Adam Ried appears regularly on America’s Test Kitchen. Send comments to cooking@globe.com. Get the best of the magazine’s award-winning stories and features right in your e-mail inbox every Sunday. Sign up here.